Charlotte Gates is tired of being Charlie Rae. She loves the lake she was raised on, their rental cabins, and spending her nights under the stars…but inside she yearns for more. After his freshman year, Nathaniel Chase’s family spends their first summer at The Village. From the beginning Charlotte intrigues him. She’s the girl who always says what’s on her mind, wins at night games, and each time she looks through her telescope, gets lost in the sky. Charlie wants out of The Village. Nate wants her to have her stars. And they dream of being able to do it all together. But life isn’t as easy as their summers. Each summer is told in alternating points of view between Charlie and Nate. Journey with the pair, and their friends, as they share their story about growing up, discovering who they are, making tough choices, and falling in love again and again. AHHH! Nyrae Dawn you did it, AGAIN. RIGHT N –O –W! ! ! All joking aside, “Four Summers” proves that summer love is within the realms of possibility for anyone, at any age. 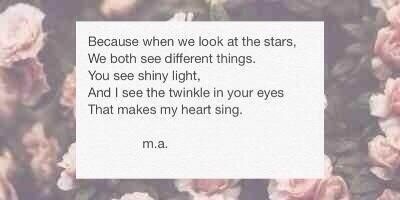 Charlotte Rae Gates is a lost girl who believes in the stars. Nathaniel Chase is a confused boy who believes in Charlotte. Together they find their destiny. 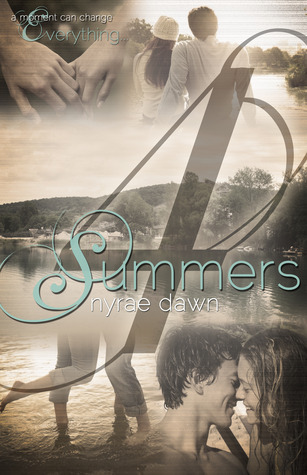 “Four Summers” will capture your heart and make you wish summer was all year long. “Four Summers” was the perfect summer read. This story pretty much described what every 14-year-old girl wanted her summer to be like. As a huge fan of Nyrae Dawn (please go and read The Game Series after you read this one, you won’t regret it! ), I already knew that I was going to fall in love with the story and the characters because she has never disappointed me before. Something about her writing is just so real and raw that you can’t help but believe the story is your reality. Charlotte and Nate got under my skin and became my new favorite summer loves. I found myself anticipating the moments when they would finally interact and their banter actually had me LOLing. Without giving away the story of their incredibly entertaining and heart-wrenching summers, I would definitely recommend this sweet and, at times, crazy book that will leave you believing that summer really is a season filled with opportunities.